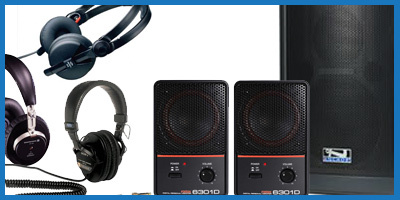 Audio Services Corporation (Canada) Ltd. carries a wide variety of headphones, speakers, and related parts and accessories. Assistive listening systems can be found in our wireless and IFB section, located here. Splitter/amplifiers, custom cabling and connectors, installations, etc - please call for assistance. We sell and carry parts for quite of a variety of professional and semi-professional headphones. Not all models are carried in store, so please be sure to call ahead.